One of the ancient cities of India, Srasvasti, today finds its place in Uttar Pradesh. The other name of this place is Savathi. 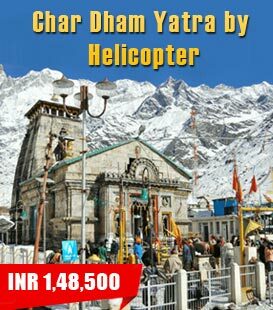 It was counted as one of the largest cities in the country in the times of Gautam Buddha and has a strong connection with him. Because of this very thing, it is one of the most important place for the people who are followers of the Buddhist religion. There are several extremely old buildings in and around Sravasti, one of which is Jetavana Monastery. 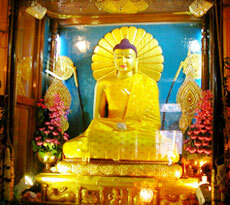 It is an ancient monastery near this place where one can see the last remains of the hut of Lord Buddha. Along with this, there is one Anandabodhi tree which one can see here. In the present times, the visitors can even the old walls surrounding the city of Sravasti which are very much a proof of the architectural excellence of that past time. 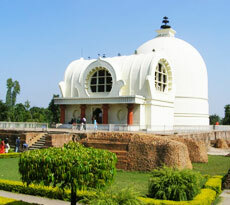 Inside these walls, are three main buildings, namely, Angulimala’s Stupa, a temple dedicated to a Jain Tirthankara as well as Ananthapindika Stupa. Countries like Thailand, South Korea, Myanmar, China and Tibet have built their Buddhist monasteries here. Being one of the main pilgrim sites, Jetavana Monastery, is visited by many monks where they get indulged into chanting and medication in the Buddha’s hut and under the Anadabodhi tree.